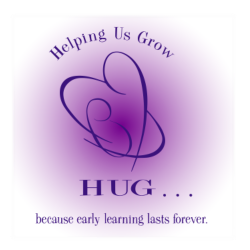 Helping Us Grow (HUG) is a unique collaboration of Hennepin County school districts, their Early Childhood Family Education departments and the Robbinsdale Area Redesign Family Service Collaborative. HUG partners pool their resources to provide universal, no-cost home visits to any family expecting, adopting or who has a newborn or toddler up to age two. Home visits provide one-on-one time with a licensed Early Childhood Parent Educator from the school district you reside in. The first few months of life are very important for the healthy development of your baby. Discover what you can do to build a strong foundation for your baby's future learning and growth. Nurse Family Partnership Home Visiting -- Expanded this winter to families in suburban Hennepin! Funding for Helping Us Grow is provided through an integrated, collaborative funding stream of grants, contracts, partner contributions (both financal and in-kind), as well as private donations.